In dominating fashion Gabriel Medina has won the 2018 World Title and the Billabong Pipe Masters. 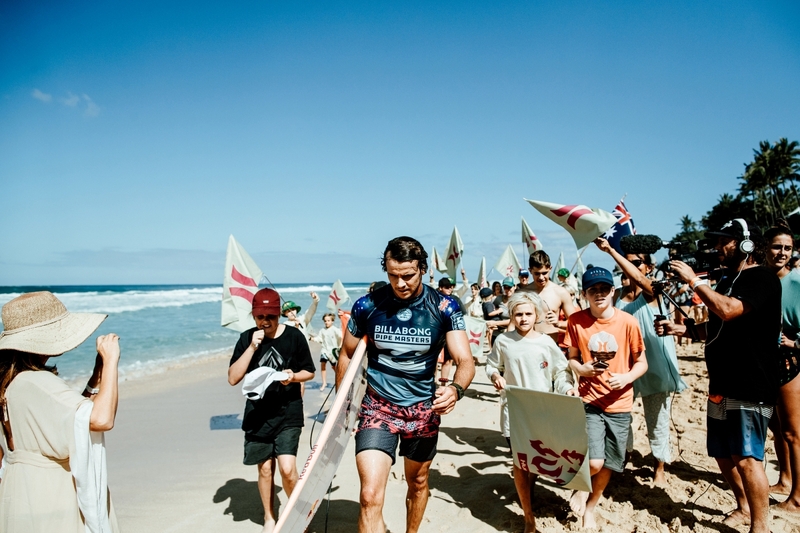 Clinching the World Title in the Semis, Medina kept the roll going beating rival Julian Wilson in a hard-fought final; a repeat match up from the 2014 Pipe Masters, where Wilson won the event and Medina the Title. "I think winning Pipe is the hardest one to win. You have to be good at Backdoor and Pipe at the same time. Just getting barreled is not enough. You have be be deep, you have to get the best ones," said Medina before the awards ceremony on the beach. 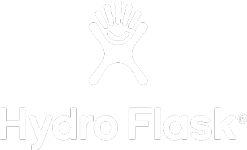 "It's great to have this opportunity and put my name alongside all the other Pipe heroes." 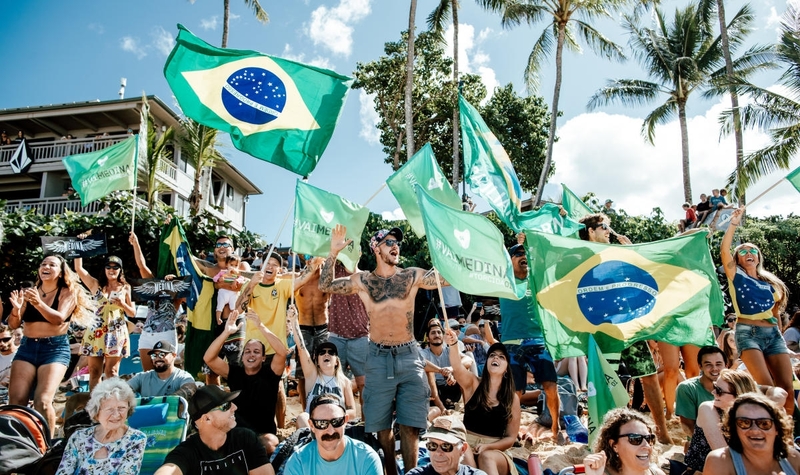 In a year where Brazil has won nine of eleven Championship Tour events, Medina sat atop the Jeep Leaderboard coming into the winter surf season in Hawaii, but Wilson and Filipe Toledo, knotted in a tie for second, had every intention of stopping his quest for a second World Title. But in the end, Gabe's momentum was unstoppable even when Wilson threw his best at him in the Final. "It was a good event, it came down to the end, it came down to the last heat of the year to decide the Title, so yeah, it's disappointing, but it was a good year," said Wilson after the Final. 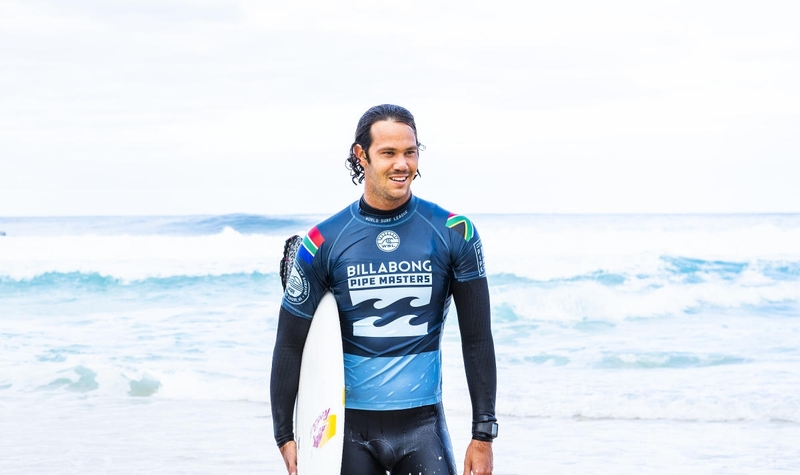 "Filipe and Julian have been surfing really good all year long," said Medina. "They've been pushing the limits. It's been an honor to be in the World Title race with them. I think they are the two best on Tour. I'm a big fan of them." From his first heat of the Pipe Masters to the Final, Medina was locked in and focused on the task at hand throughout the waiting period. He charged into Finals day with a strong Round 4 performance, making short work of Sebastian Zietz and Michel Bourez. "It's all about God's plan. I believe in that. Every single heat I had the faith. I tried my best until the end," said Medina as champagne showered him and the victory celebration raged on. In the Quarterfinals, Conner Coffin jumped out to an early lead, but true to form, Medina didn't flinch. He quickly bagged a near-perfect 9.43 for a deep Pipe tube and lofty frontside air. Not content with that score, he locked into a gapping Backdoor cavern. Pulling into the tube without grabbing the rail, he pumped and drove through the pit, eventually getting spit out down the beach near Off The Wall.  The judges awarded him with the only 10-point ride of the 2018 Pipe Masters (although Kelly Slater came dangerously close with a 9.93 in the Quarterfinals). "I was stoked to find that right, that right was sick. It was the best ride I've got at Backdoor," smiled Medina. By the time the Semifinals came around Medina was clearly on a roll. Facing Jordy Smith, who was still in contention for the Vans Triple Crown Title, once again Medina got down to business. He only caught three waves in the heat, but one of them was a 9-point ride. With Smith's elimination, Brazilian Jesse Mendes captured the Vans Triple Crown Title. "We've kind of taken over. 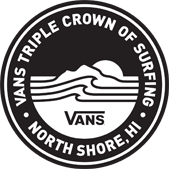 The Title is ours, the Triple Crown is ours, those are two of the biggest titles you can win in surfing. The Pipe Masters is the biggest event you can win all year, so we have everything," said Mendes. "It just shows all the work we put in back in the day when we were groms competing against one another and being united. Now we've taken it to the big stage and it just made us develop so much. It's working out." 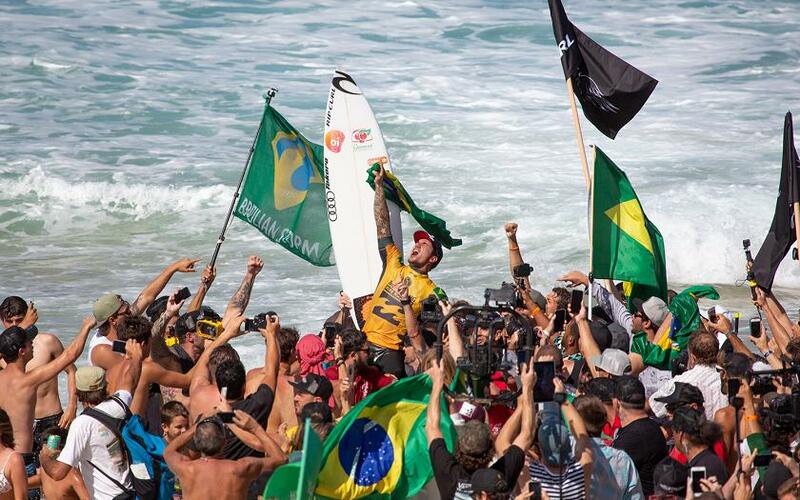 Today was a huge moment in Brazilian surfing. It wasn't but a couple of years ago that the "Brazilian Storm" was capturing the attention of surf fans and making headlines. Now, Medina, Mendes and their fellow countrymen sit at the pinnacle of the sport.